Green eggs and ham day! Mrs. Stahl made green eggs and ham for snack! This week we celebrated Read Across America Week. Each day we had a theme dress up day and had a guest reader of a Dr. Seuss book. 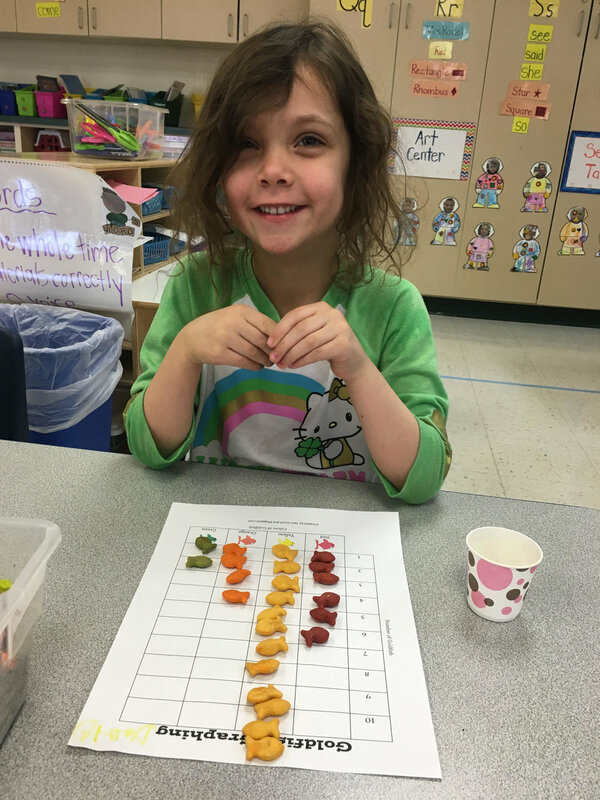 We made a cat in the hat, a one fish, two fish, red fish, blue fish poster, and graphed different colored goldfish. We also did a couple rhyming activities. We learned the letter Aa (and that it makes a long sound and a short sound) and in Second Step we learned how to invite others to play. Today in the gym, we invited a friend to dance with us. We had so much fun! Next week we're going to start some St. Patrick's Day projects. We will be learning the letter Vv. In Second Step, we'll be learning how to join in to play. We will also be doing a sequencing activity go to along with the story, There was an old lady who swallowed a clover. We will be celebrating our 100th day of 4k next Thursday. Please send in ten pieces of a snack (10 pretzels, 10 marshmallows, 10 crackers, etc). We will be combining them to count to 100! We will also be doing a few other 100 day activities. I sent home confirmation for home visits. If for some reason that time no longer works for you, please let me know asap.